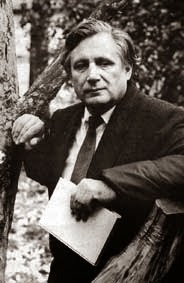 The work of Yuriy Mamleyev, the underground author from the circle of alternative intellectuals that Alexander Dugin joined, has until recently not been available in English, though some short stories were translated in 1980 and published as The Sky Above Hell and Other Stories. Now, however, Mamleyev's seminal novel Шатуны (Shatuny), written between 1966 and 1968 and first published in samizdat, is available in English as The Sublimes from Haute Culture Books in Sweden, either in printed and hand-bound form for €2,000 (!) or (rather more usefully) as a free pdf download. In its search for the Absolute and with all its insanity, Mamleyev’s world reminds us of that of Dostoyevsky, but his characters go beyond ethical problems – they look into the abyss, they recoil and admit the existence of superior powers. Mamleyev goes one step further in trying to comprehend evil and metaphysical planes of consciousness. In The Sublimes, Mamleyev’s figures are mystics, perverse occultists, philosophical fanatics in search of immortality, of their own “eternal ego” and of the great Absolute. They sometimes seek evidential proof of the presence of God and the continuation of life in order to find an answer to the most terrifying question: What will they meet with on the other side of death? The Journal for the Study of Radicalism has just published a special issue (Spring 2014, vol. 8, no. 1) on the New Right that contains two articles that deal with contemporary manifestations of Traditionalism. "The Nouvelle Droite and 'Tradition,'" by Stéphane François, is devoted to an examination of the relationship between Traditionalism and the New Right, or rather to French New-Right Traditionalism--François sees "a Traditionalist current" as "a distinctive tendency within the ND [Nouvelle Droite, New Right]." He agrees with my earlier conclusion that Alain de Benoist cannot be considered a Traditionalist, a conclusion that de Benoist himself welcomes in a response ("Alain de Benoist Answers Tamir Bar-On") printed at the end of the special issue. François then stresses the influence of Evola and other Traditionalists on the New Right, especially with regard to the critique of modernity and the embrace of an Indo-European pagan alternative to Christianity, blamed for inspiring egalitarian secular utopias. Guénon's writing on Hinduism contributes to the New Right conception of Indo-European paganism, he thinks, but Evola in particular is enlisted to this end. François also discusses what he calls "Nordic Traditionalism," a little known phenomenon that he says draws on Guénon's regard for a supposed original Hyperborean tradition. François mentions only one contemporary name in this connection, that of Paul-Georges Sansonetti. 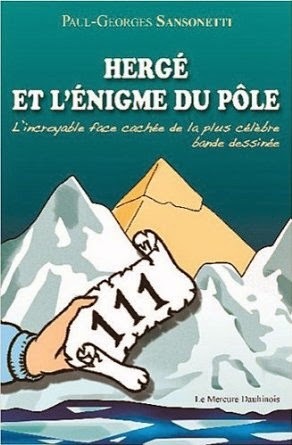 Sansonetti is the author of a number of books not discussed by François, the most striking of which is Hergé et l'énigme du pôle, which--according to its blurb--provides the key to decoding the secrets of the North Pole as Supreme Center as found in Hergé's Tintin books... It is not entirely clear how seriously this should be taken. "A Conversation with John Morgan" by Arthur Versluis, takes discussion of Traditionalism and the New Right across the Atlantic. Morgan is the editor-in-chief of Arktos, an important English-language publisher for Traditionalist and New Right books, from Evola to de Benoist and Dugin. Unlike de Benoist, Morgan acknowledges an important debt to Traditionalism. As well as talking about this and about his own encounters with Sufism and Hinduism, Morgan discusses the origins, nature and mission of Arktos, and the general New Right "scene" (my term, not his) in America. He also explains how he sees the New Right as differing from the fascism that its critics seek to identify it with: the New Right does not favor a powerful state, and is not interested only in the material. The New Right is not radical, he says, in the sense of wanting revolution, but he "could even conceive of these ideas entering the mainstream political and cultural process eventually, such as has been happening recently with the identitarian movement in many Western European countries, which has been catching on among the youth with great success." Two other articles mention Evola. The lead article, "The French New Right Neither Right, nor Left?" by Tamir Bar-On, merely mentions him in passing as an inspiration of the New Right, an inspiration that is examined in somewhat more depth in the second article, "The New Right and Metapolitics in France and Italy," by Massimiliano Capra Casadio. Note: The Call below is no longer live as the article has now been commissioned. The Occult World seeks to provide understanding, dispel myths, and explore new trajectories in esoteric thought. Scholars interested in writing the article on "Guénonian Traditionalism" are invited to contact Professor Partridge at c.partridge@lancaster.ac.uk, providing a brief CV indicating relevant previous publications and current academic affiliation.